Congressman-Elect Keith Ellison An interview with the first Muslim Congressman. 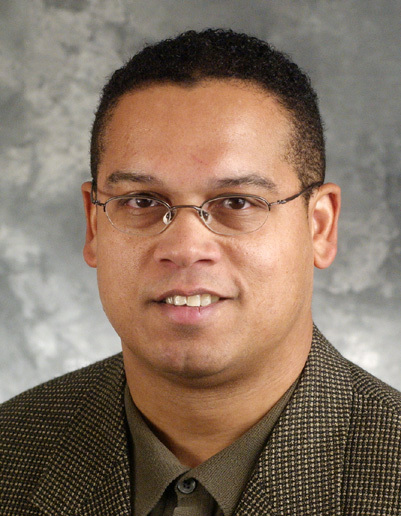 Keith Maurice Ellison is an American lawyer and politician, who became the first Muslim to be elected to the U.S. Congress when he won the vacant seat for Minnesota's 5th congressional district in the House of Representatives last November. He is also the first African American elected to the House from Minnesota. Ellison is active on a national level in advocacy for Muslims in the U.S. The following are excerpts from an interview conducted with Ellison on December 12, 2006. • PJV: Much of the response to your candidacy, and now your position as Congressperson, has been in reaction first to your status as a Muslim, and only then to your being Keith Ellison. Even my interviewing you is consistent with this. What is your response to being focused on as being a Muslim? Well, I see it as both a curse and a blessing. On the upside, it is a signal of toleration in this country. I won the election. People in my district voted for me while aware of my religious affiliation. It’s a message to Muslims, who have often been treated with prejudice since 9/11, that the best impulses of America point to inclusion. That it makes most sense to make use of the talents and skills of all, including those of minority religions. On the downside: I can get typecast in this position. But I got to Congress not because of my faith, but because of my record in the Minnesota legislature, my years of community service working for the civil rights of all people. I am concerned that these accomplishments can be obscured. I ran on a platform of peace, of getting out of Iraq, of providing health insurance for all, of committing out resources to developing renewable energy. I’d rather talk about getting out of Iraq –-- this is perhaps the single most disastrous policy of this Bush administration, and has been so destructive to this country, to Iraq, and to peace. • PJV: First I’d like to ask another question about religion: How did you come to choose Islam as your religion, and in what way does your faith influence your approach to politics? Did this influence your decision to enter politics? I have been a Muslim since age 19, and I am 43 now. Of course my faith strengthens me and guides me. How I came to it is a deeply personal matter, and I’m not ready to talk about it now. However, it’s important to note that Islam includes universal qualities such as charity, inclusion, the desire for peace, and persevering in the face of hardship. It’s also important to remember that Islam is informed by other religions. I was at a Seder last spring, and there I heard the language ‘to accept the stranger, as you were once a stranger’ –-- this is a value that is consistent with Islam. Then there is the story of the Loaves & Fishes: this promotes the idea that there is abundance in the world, which Islam also promotes. These values are not exclusive the exclusive province of one religion, but are part of the Abrahamic tradition. • PJV: There is a movement among progressive thinkers within Judaism, Christianity, and Islam that stresses the common, ‘Abrahamic’ element of the three religions. Do you think these movements will make a difference in the process of reconciliation? • PJV: You were the target of criticism during your Congressional campaign based on your past involvement with the Nation of Islam. You have also been criticized by some segments within Islam that dismiss you as being a true representative of Islam because of, for example, your support for Israel. How do you handle this push-pull from different sides? You just have to do the best you can with what you’ve got. First, let me say I am not now, nor ever was, a member of the Nation of Islam. I worked cooperatively with that group for the Million Man March, and worked on some other projects in conjunction with them. I then saw that some views of Minister Farrakhan promoted intolerance. To be sure, denying the rights of GBL [Gays, Bisexuals, Lesbians] people to live based on their own choices, denying the right of Israel to exist, the right of women to make choice about their own bodies is a view some in Islam hold, and I have been criticized by some in Muslin community for my views supporting these groups. But none of these views disqualify me from being a devoted, sincere Muslim. Islam has a tradition of tolerance: let God be the judge of all: humans need to withhold judgment, not try to be the ultimate judge. Israel has the right to exist. We need to work on peace in the Middle East through a negotiated settlement, so neighboring countries can develop trade and other interchange, not be adversaries. I am greatly disappointed that Bush has not been a force for peace. • PJV: What impact would you like to make as a Congressperson? What are your ‘hot button’ issues? I still believe America should have peace as its guiding principle, should work to resolve conflicts around the world: in the Middle East, in Darfur, in Kashmir, resolving seemingly intractable problems. And in the process, we should avoid war as a whole. The situation in Iraq has been extremely corrosive, exploding the budget deficit. We need to be aggressive about climate change because the clock is ticking, and it’s a very real problem we must address. Another priority for me is to create sustainable energy, and energy independence, which also benefits security. And to be a charitable nation we should take care of all our citizens, which means national health insurance. • PJV: Jews have historically been a major source of support for the Democratic Party. This has been challenged in recent years by neo-conservatives and others who say that the Democratic Party’s support for Israel is suspect, and that the Party is increasingly influenced by people who some accuse of holding anti-Israel or anti-Semitic views. How do you see this? I see this situation in the same light as discussed before: these are the same people who say our biggest threat is gays, the same ones who say women’s rights should be restricted, that immigrants are the problem, not trade policies. It is just another wedge issue, to cut off the Jewish community. We’ve seen Democrats actively pursuing peace. We’ve seen Bush not be about that. There are those who want to wipe out Israel, so Israel has to defend itself. But just because Newt Gingrich and company promote militarism in Israel doesn’t mean they have Israel’s best interests in mind. I believe true support for Israel means making sure that the women, children, and working people in Israel are able to live in peace. And this is true not just in Israel, but in other countries as well, where military contracts influence people’s and politician’s views. It is really another wedge issue. November 2006: Candidates Lois Murphy and Jim Gerlach, Pennsylvania's 6th district. October 2006: Patrick Murphy, who is running for Congress in Pennsylvania's 8th district. September 2006: Alan Schlesinger, Republican Senate candidate in Connecticut. July 2006: Joe Sestak, who is running for Congress in Pennsylvania's 7th district. June 2006: Rep. Steve Israel, from New York's 2nd district. December 2005: Rep. Jim Gerlach who is running for reelection in Pennsylvania's 6th district. October 2005: Bob Casey candidate in the Democratic Primary for U.S. Senate. September 2005: Pennsylvania State Representative Daylin Leach. August 2005: Lois Murphy who is running for Congress in Pennsylvania's 6th district. July 2005: Chuck Pennacchio candidate in the Democratic Primary for U.S. Senate. donate (not quite free but greatly appreciated) to enable us to continue providing this free service. send corrections, comments and offers to volunteer to our editor-in-chief. © 2007. Permission is hereby granted to redistribute this issue of The Philadelphia Jewish Voice or (unless specified otherwise) any of the articles therein in their full original form provided these same rights are conveyed to the reader and subscription information to The Philadelphia Jewish Voice is provided. Subscribers should be directed to http://www.pjvoice.com/Subscribe.htm.